The island of Sylt in the north-western corner of Germany offers not only luxury vacationers but also nature photographers a lot of variety. The Wadden Sea, with its numerous bird species, wide dunes, cliffs and heathland make the whole range of focal lengths used. Germany’s northernmost island, which can only be reached by land via the Hindenburgdamm by car on a passenger train, is generally considered to be the island of the beautiful and the rich. But not only the dunes but also the Wadden Sea is unique natural landscapes. They make the hearts of photographers, nature watchers and outdoor freaks beat faster. During the bird migration in spring and autumn, the photographer with the long focal lengths in his photographic luggage gets his money’s worth. Then the Watts serves numerous migrating birds as an important food source and resting place. Only then can the birds survive the extreme strains of the often several thousand kilometers long flight. The Wadden Sea between Denmark and the West Frisian island of Texel in Holland is considered one of the most important hubs in international bird migration. The waders (some of them in their pretty breeding plumages) from the tundra of Siberia and Scandinavia are moving from their breeding grounds towards winter quarters or vice versa. On Sylt we find ideal observation conditions with many beautiful nature areas and observatories. You have good chances to observe also rarer waders or other water birds. The breeding colonies of the Common Tern (Sterna hirundo), the Arctic Tern (Sterna paradisaea) and the Little Tern (Sternula albifrons) dissolve again in the summer, but now the birds are resting in high numbers in the Wadden Sea and the North Sea coast. The ornithological charm of this North Sea island is also explained by the diversity of their habitats. 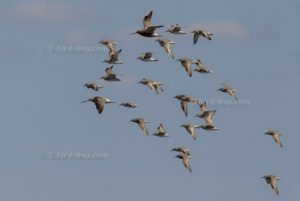 Wading birds such as the Red Knot (Calidris canutus) occur in huge flocks. 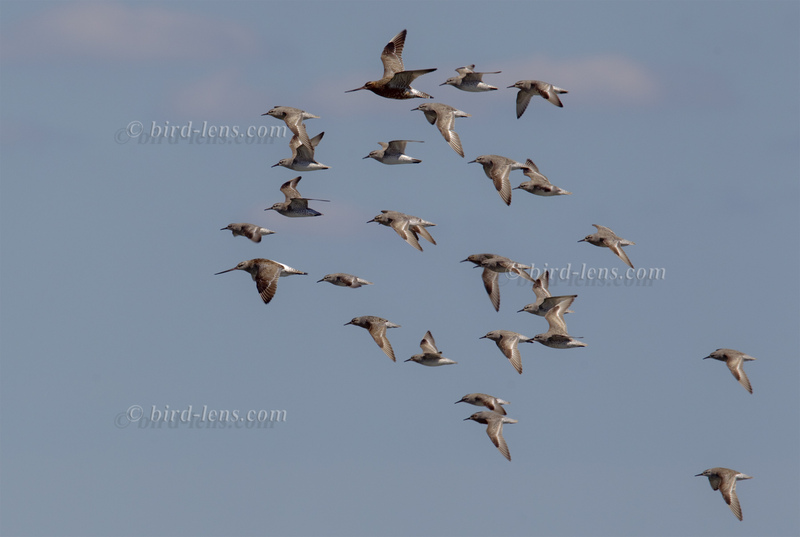 Not only for the Red Knot he Wadden Sea around Sylt is one of the most important food biotopes in Europe. To cope with the growing demand for top shots of the rarer species of the Palearctic Bird-Lens is keen to enrich the range of pictures of birds you can find in the western palearctic. Trips to remote places like this one to capture images of rare birds of western palearctic were very successful. The nice image of the blog is only a first impression, what you will find in the gallery in the “Picture Shop” very soon. Just give me a message, if I could serve you with an image needed before the new pictures are online.